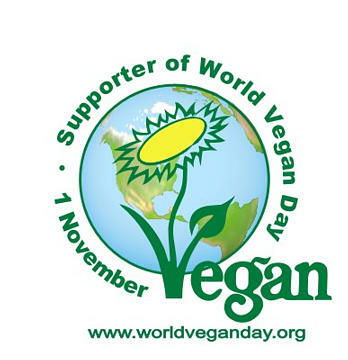 Nov. 1st is WORLD VEGAN DAY and the 69th Anniversary of the founding of The Vegan Society! If you’re the sort that never talks much about what you eat, or don’t eat (not sure if that kind of vegan exists) then today is the day to break that trend. Go out and celebrate, bake a cake, give to an animal rescue, or become a liberator and open some cage doors! The Vegan Skate Blog is going to kick off World Vegan Day by donating all sticker pack sales in November to Out To Pasture Sanctuary. Head over to the shop and replenish your supply and put $5 in the coffers for the goats, pigs and turkeys. For every pack, all moneys (seriously, Mr. Fakie is taking a bath on this one) go to the Out To Pasture. This entry was posted in Activism, Event. Bookmark the permalink.